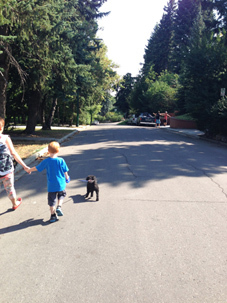 My involvement in the Mount Royal Community Association began as a concern for pedestrians and cyclists on our community roads. 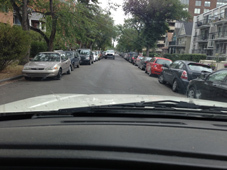 At the time, the perception was that vehicles were traveling at unsafe speeds, more than the marked speed limit. When speed was brought forward to city police, who stated that in previous efforts to enforce, the majority, were, in fact, driving within the speed posted on the street. A subsequent meeting with Alderman John Mar ended with a similar response. I would come back to my community and find myself shaking my head while impatient drivers tailgated, honked horns, shook fists, refused to yield and in one situation, collided into my SUV while I yielded to allow him to pass. That afternoon, I began to drive the community. 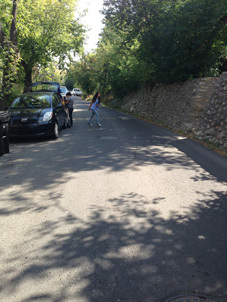 I drove the hill where the accident occurred, and I continued to drive other streets, monitoring my speed in relationship to what I felt was comfortable. What I discovered is I rarely exceeded 30km per hour, and in most cases, traveled less than 30km an hour. It then occurred to me that what was happening wasn’t so much that people were “speeding,” but that the speed that was considered acceptable was a good deal faster than I was driving, and too fast for a residential street. From this realization, I began to research and soon found that studies supporting my observation, already existed in almost every country in every part of the world. I have included a synopsis of only a few. 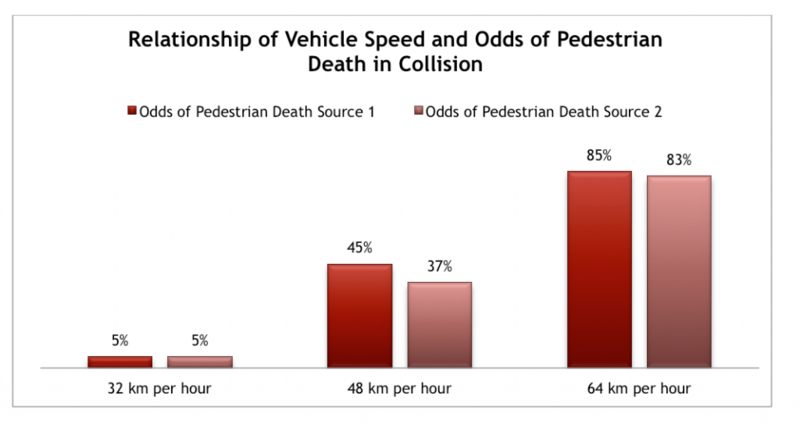 67% of deaths occurred on roads posted with speeds beyond 50k/hour, and only 5% of roads below 50km/hr. For the remainder, speed was unknown. 76% of fatalities occurred in urban areas, and 75% happened on wide, busy arterial roads. 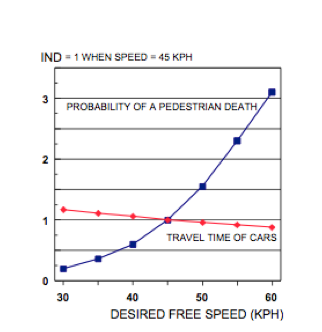 Results from a report produced by the Helsinki City Planning Department, Finland, (full report available – click here) states that “a speed of 50 km/hr increases the risk of a pedestrian death almost eight-fold compared to 30 km/hr. 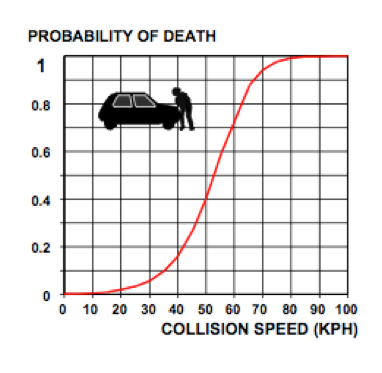 The graph below demonstrates the collision speed and probability of death. A common argument by drivers who are against lowering speeds in residential areas is an increase in travel time. 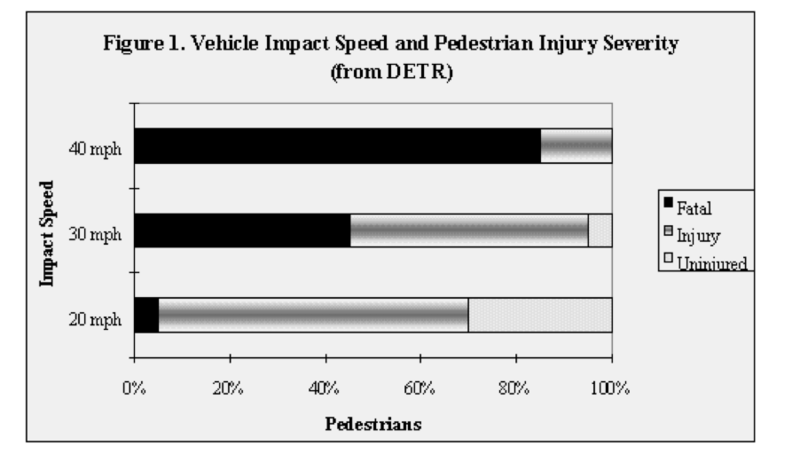 However, the same study shows that a decrease in speed has minimal effect, while the probability of death for the pedestrian increases significantly. This is because drivers, regardless of speed, will be required to stop and wait at lights as well as other expected obstructions. Therefore, speeding through residential areas accomplishes very little, while creating a higher risk for those who live, walk and cycle in the community. A report published by the United States Department of Transportation in October of 1999, stated that its findings were similar to what was determined by a UK report, which is as follows. 40 mph (64 km per hour) impact speeds: 85 percent death and 15 percent injured. 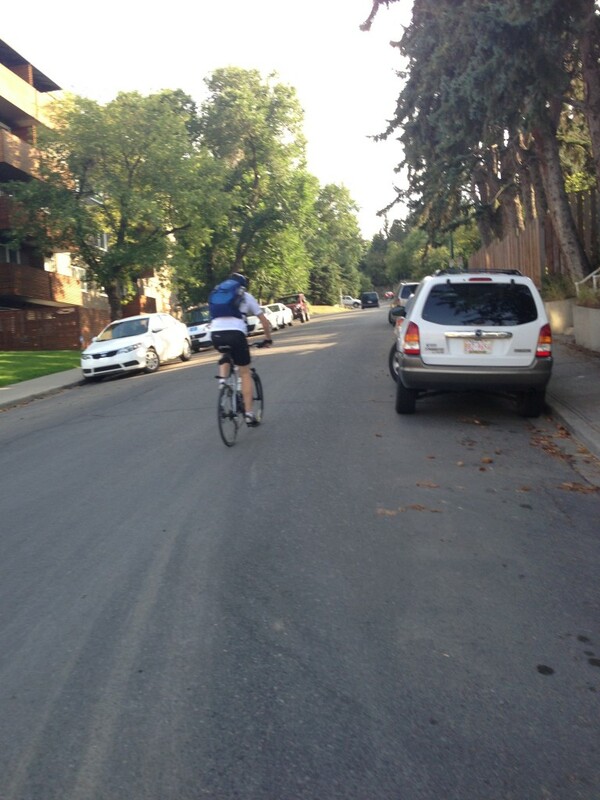 Below are photo taken randomly on streets which are considered 50km/hr – keeping in mind that Macleod Trail is 60km/hr. Quite a contrast. Have you heard back from any council members. I think this is a very important issue. What progress have you made to further this issue?